I have worked with my fair share of companies, both large and small, from companies that are just starting out to those that have been well established for 30 or more years. It has been my experience that most companies, no matter how long they have been in business, don’t establish written policies and procedures until they have more than 30 employees. Many smaller companies simply don’t have the bandwidth to get them completed. The CEO of a ten-person company is most likely also the HR Manager, CFO, and buyer of office supplies. Smaller companies are also more likely to be more flexible regarding vacation days or paid time off, bringing animals to work, dress code, etc. This can lead to problems if a precedent is set by giving one employee an extra paid day off, or allowing someone to bring their dog to work, but not allowing someone else to bring theirs because of the type of breed, or because they are long haired instead of short haired. 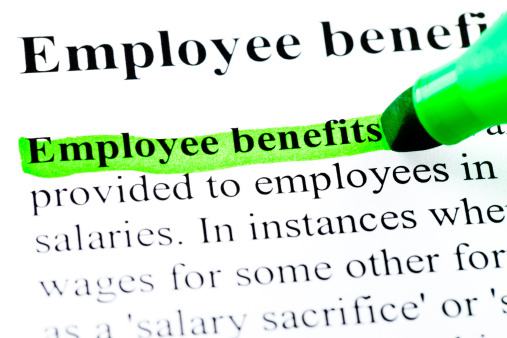 When companies offer a health and welfare benefit plan to their employees, established processes and procedures become especially important to help avoid confusion and errors. For example, what happens when an employee is terminated, or takes a leave of absence? How are insurance premium deductions to be handled? If an employer deducts health insurance plan premiums from an employee’s payroll on a weekly basis, and an employee terminates his or her employment in the middle of the month, but coverage stays in place until the end of the month, how do you deduct the premium from the employee’s payroll for the last two weeks of the month? Can you deduct the entire amount from the final paycheck? The answers to these questions all depend on what your state laws will allow, and what the written company policy says regarding premium deductions via payroll. In addition to written policies and procedures helping to set standards and best practices for a company, they may also be required to be presented to the Department of Labor (DOL) in the case of an audit for compliance with ERISA, HIPAA and the Affordable Care Act (ACA). All employer-sponsored health and welfare benefit plans are subject to ERISA, HIPAA and portions of the Affordable Care Act, no matter the size of the company or the number of employees that participate in the plan. In the past couple of years we have seen groups as small as two lives be audited by the Department of Labor for ERISA and ACA compliance, and the number of groups that have been audited has been increasing. See our breaking news release with information on how to prepare an audit. As an example, in an audit letter from 2014, the DOL not only asked for an employer to produce the Women’s’ Health and Cancer Rights Act Notice that it gave to employees, but also asked for evidence to show how and when the notice was distributed when an employee was first enrolled in the plan, and how and when the yearly notice was distributed. If an employer has a written policy and procedure in place, it is easy to provide this information in the case of an audit. In addition, auditors require proof of compliance as far back as September 23, 2010, when the Affordable Care Act was first enacted. So not only is it important to keep and maintain records of your policies, procedures, and documents related to your current plan year, but it is important to keep them on file for previous plan years. Audit-proof your company with UBA’s latest white paper: Don’t Roll the Dice on Department of Labor Audits. This free resource offers valuable information about how to prepare for an audit, the best way to acclimate staff to the audit process, what the DOL wants, and the most important elements of complying with requests. If you have a cafeteria plan, take care to understand the distinctions and interplay between ERISA requirements and cafeteria plan requirements. Request UBA’s ACA Advisor, “Reporting and Plan Documents Under ERISA and Cafeteria Plan Rules” for comprehensive information on reporting, Form 5500, and requirements for plan documents.